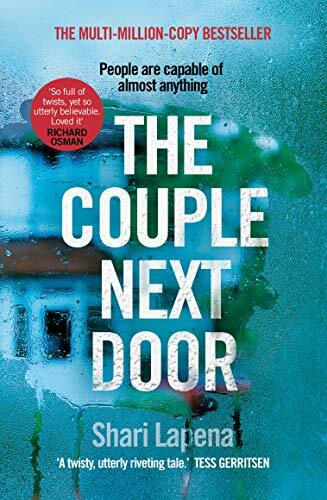 THE COUPLE NEXT DOOR lingers long after you turn the final page' HARLAN COBENFast-paced and addictive, THE COUPLE NEXT DOOR announces a major new talent in thriller writing. You'll have the baby monitor and you'll take it in turns to go back every half hour. THE COUPLE NEXT DOOR will keep you glued to the pages in search of the answer.